The easiest way to start finding your way around in Nepal is to use your favorite map app on your mobile or other navigation device. All urban areas in Nepal are mapped out good enough to find your way though some errors might occur. Bring an extra passport photo to get a local sim card at the arrival halls in the international airport of Kathmandu. If you can wait a little longer or you crossed one of the road borders to enter Nepal then there are plenty of service centers from mobile carriers where you can get a local sim card. For offline navigation you can use a free Kathmandu Valley map that is available at the Tourist center of the Nepal Tourism Board and several tourist accommodations. Detailed maps are available in map and book shops in the big tourist areas of Nepal. If you really want to get a feel of the pulse of the city, try local transportation like public buses, battery run three wheelers. 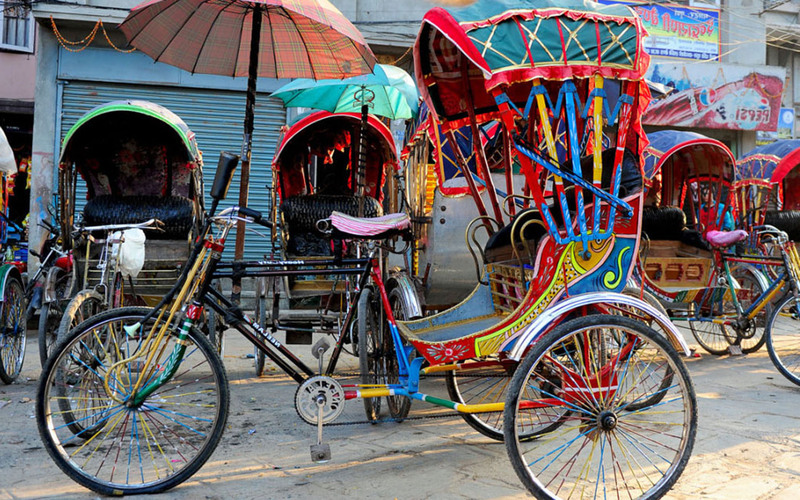 You could even try rides on local rickshaws, ponies or bullock-carts where they’re available. For some quick sightseeing as well as time-saving, rickshaw is the best. 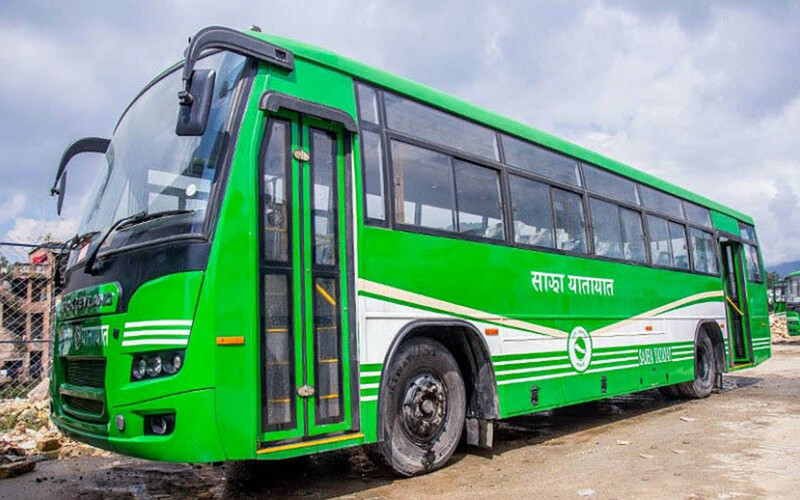 Government run green buses known as Sajha Bus are comfortable and run along the north-south and east-west main roads of the valley. These buses stop only at designated bus stops, therefore, one has to identify the nearest Sajha bus stop to be able to board one. Other buses are also available for transportation to different parts of the valley. Hail a taxi, which is easily recognized by its taxi sign on top and black license plate. Private taxis may charge slightly higher. No tip is expected. Night taxi service can also be arranged and operated by major hotels.One can rent a private car through a travel agent or a car rental company. Mountain bikes and ordinary bicycles are cheap and the best form of transportation for economy tourists. One can hire them at Thamel, Rani Pokhari and Jhochhen, all in Kathmandu. Mountain bikes can also be hired in Pokhara. Tourist bus service provide easy transportation to prime areas like Pokhara and Chitwan. For other destinations, long distance day or night bus services are available from Kathmandu to all major cities. Out-of-valley bound buses leave from New Bus Park at Gongabu at Ring Road near Balaju, Kathmandu. More comfortable and smaller vehicles can also be hired exclusively or on price-sharing basis. Nepal Airlines has an extensive network of air services to major parts of the country. Besides Nepal Airlines, other domestic airlines (more than 18 in operation) provide regular and chartered services to popular domestic destinations. Some of these airlines also offer mountain flights.